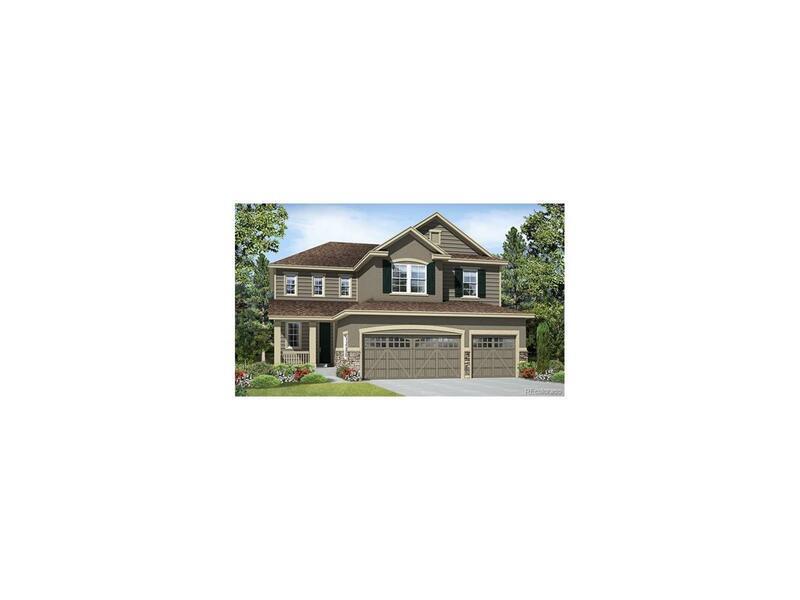 Beautiful 2 story Seth plan home with spacious family room, nook and study. Includes a gourmet kitchen with a large alternate island with natural stone counter tops, stainless steel appliances, and Maple-Java cabinets. Beautiful 8 foot doors throughout. The great room features a tile fireplace and enjoy the sizable sun room attached to the covered patio to enjoy the Colorado views. Upstairs you will find a loft adjacent to the Master Suite with his and hers walk-in closets, a beautiful master, and 3 additional bedrooms. There's a fifth bedroom on the main floor. Includes air conditioning, active radon mitigation system, and front yard landscaping.